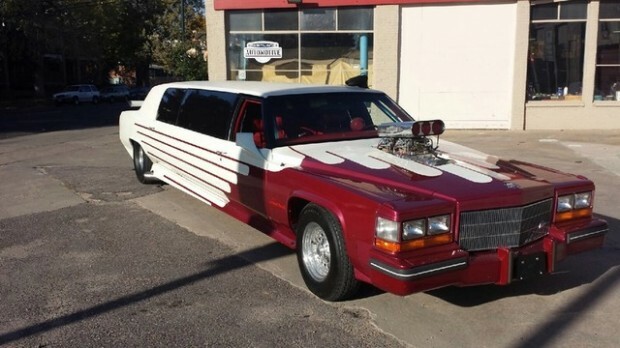 1981 Cadillac Fleetwood Limousine 25.5 Stretched Supercharged Pro Street. 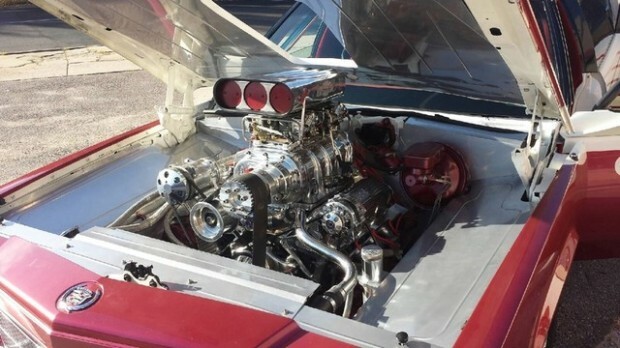 Engine: Rebuilt 454 Chevy Big Block BBC Blown. Dual 4 bbl Chrome Holly carburetors. Transmission: Freshly rebuilt Turbo 400 automatic. Hurst shifter. Color: White with pearl accent exterior paint and Candy Apple Red metallic. 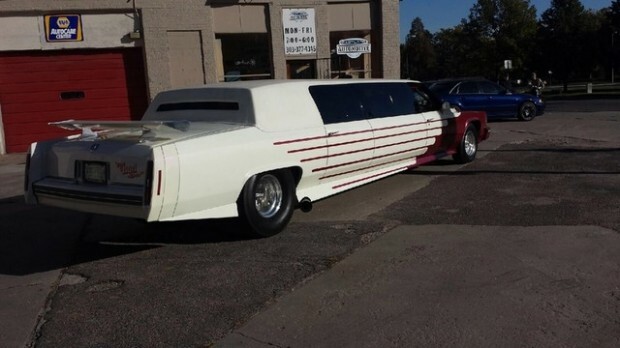 9in narrowed and chromed tubbed with 4 link racing rear end. 4 rear and 2 front Porsche Carrera leather racing seats all with 5 point racing harnesses. Approx. 20 gallon stainless covered fuel cell. Small 9in TV with VCR and Liquor bar. Built by National Coach in 1984. 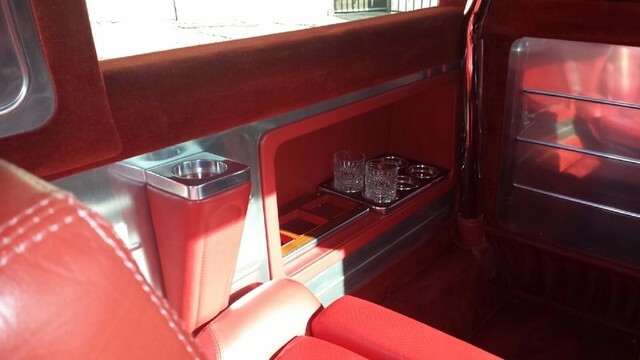 Related Items1981 Cadillac Fleetwood Limousine 25.5 Stretched Supercharged Pro Street. ← Previous Story 1969 Oldsmobile 442, Numbers Matching, Trophy Blue. Get u to the grave on time!